Superior Metabolic Technologies, Inc. is voluntarily recalling all lots of the testosterone booster Uprizing 2.0, as tests have shown that the product appears to contain superdrol. Superdrol is a synthetic steroid, making it an unapproved new drug. 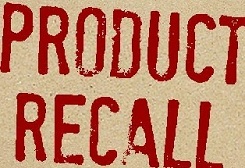 The FDA informed Superior Metabolic Technologies that Uprizing 2.0 contains superdrol, which is banned by the FDA, leading to the recall of the product. Use of synthetic anabolic steroids has been known to lead. Additionally, use of synthetic anabolic steroids may cause other serious long-term adverse health consequences in men, women, and children. Side affects include shrinkage of the testes and male infertility, masculinization of women, breast enlargement in males, short stature in children, a higher prediction to misuse other drugs and alcohol, adverse effects on blood lipid levels, and increased risk of heart attack, stroke, and death. Uprizing 2.0 comes in a black plastic bottle with a black, red, and silver label and contains 90 capsules. The SMT logo is center top on the bottle. Uprizing 2.0 was distributed through retail health food stores in Alabama, Arizona, California, Georgia, Mississippi, New Jersey, South Carolina, and Texas.